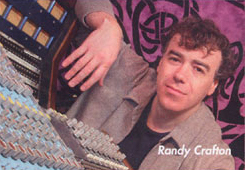 Producer/Engineer Randy Crafton has recorded and/or produced a wide range of artists including Richie Havens, Dayna Kurtz, The Mingus Big Band, Ray Barretto, Omark Faruk Tekbilek, Steve Gorn, Walter Parks, Glen Velez, Ethel and Cast Recordings of Broadway and Off-Broadway shows. His knowledge and experience with several musical styles enables him to easily communicate with artists, work with each musician as an individual, and capture the sound of each musician’s instrument or idea as they hear them. 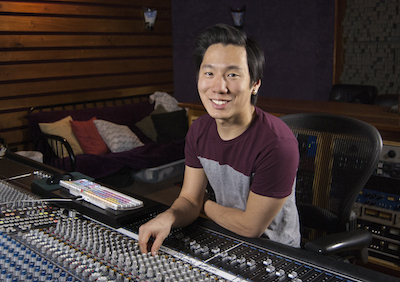 His extensive knowledge of Pro Tools makes him highly sought after as a very musical and efficient editor. A tireless worker, Randy has earned a reputation for getting the job done, and remaining professional, effective and creative from the beginning to the end of the project. He has also created audio content for toys (Discovery Channel and Hasbro), recorded and edited voice-overs and dialogue for Internet and radio content, and written music for a wide variety of other uses. As a drummer/percussionist, he has over 100 recording credits to his name, has toured extensively through North America and Europe, performed on Broadway, and premiered over 40 works by composers such as John Cage and George Crumb. As an educator he has held positions at The Juilliard School, The New School, Drummers Collective, and the Berklee College of Music, and has served as the chairman of the World Percussion Committee for the Percussive Arts Society. 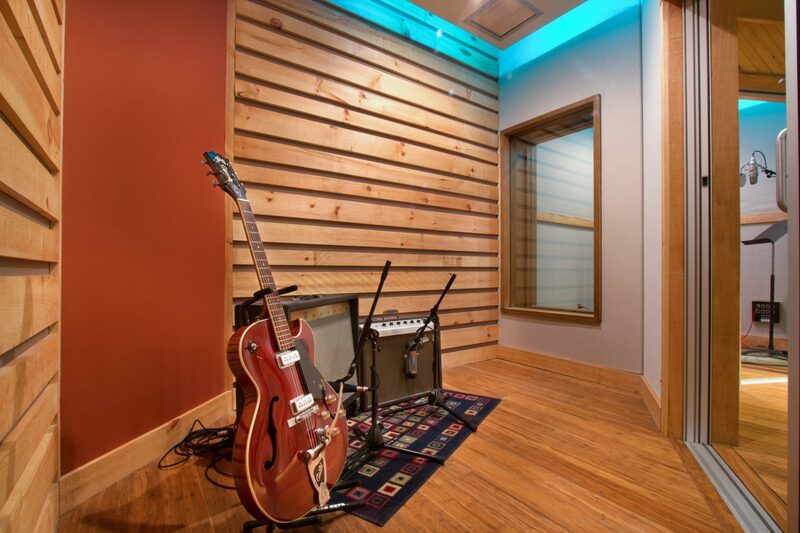 Kaleidoscope Sound is the realization of his vision for the ideal environment in which to create and record music. 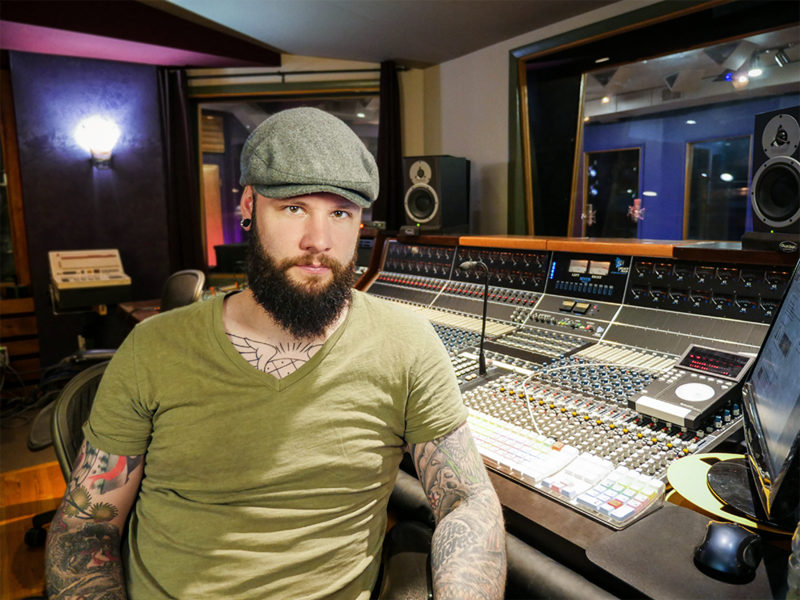 Kyle Cassel has been the a mainstay at Kaleidoscope Sound since 2009. He started as a very smart, dedicated, and talented intern. He quickly rose through the ranks, and he has been the chief engineer for 5 years. He is in great demand due to his tremendous ear, accumulated techniques for capturing sounds, his impeccable work ethic, and transparent demeanor in the studio. A drummer himself, he is also a great drum tech, and keeps Kaleidoscope’s great collection of drums in tip top shape. He is equally comfortable behind a camera, and serves as a photographer and videographer for many projects as well. His skills and eye for Photoshop and Illustrator, as well as premiere video editing have served many of our clients well over the years. IN his tenure he has had the opportunity to work with such diverse artists as Southside Johnny and The Asbury Jukes, ETHEL, Spyro Gyra, Valerie Naranjo, The Spanish Harlem Orchestra, and Hudson Music. In addition, he is the CEO and designer for Midnight Skol Society. Jeremy Delaney arrived at Kaleidoscope Sound as many of our best have. He was a standout intern who was just a little more hard working, talented, and dedicated than everyone else. He has worked his way up through the ranks, and has now logged quite a few hours behind the boards for some great projects. Most recently, he has had the opportunity to work as John Agnello’s primary assistant, and we are pleased to say that his skill and knowledge has been dramatically fast tracked because he has taken this tremendous opportunity very seriously. He has had the opportunity to work with Casey Benjamin, Eddie Palmieri, Hazmat Modine and The Huntertones. In addition to working as an assistant, he is now stepping out on his own and doing a great job on many projects. He is also a guitar player, and a tech savvy guy. He will be there in the morning when you get here, and late at night, when you leave. 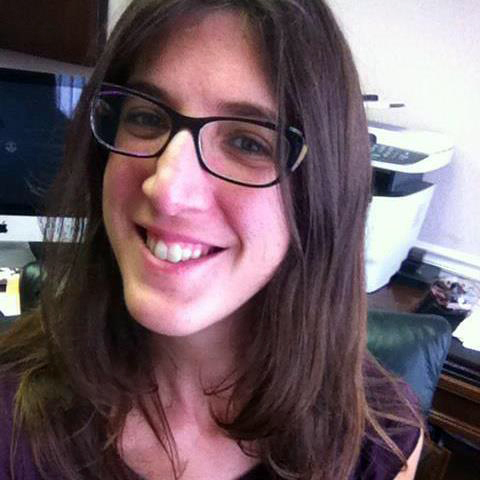 Multi-instrumentalist, Amy Platt creates original compositions and arrangements for corporate and private clients. 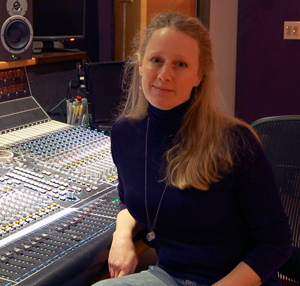 Her many projects include music and Sound ID’s for Discovery Channel, Hasbro Inc., Playskool and Playworld Play Systems, as well as over 100 fully orchestrated scores for Globekids.com. In addition to stand-alone projects, Amy has created numerous horn and string arrangements for various artists including award- winning scores for Universal Netherlands. As a graduate of The Julliard School, Amy combines her extensive knowledge of western classical music with her passion for jazz and various non-western musical traditions. As an instrumentalist (specializing in clarinets, and saxophones), her performances include Broadway productions “The Lion King” and “Riverdance on Broadway,” as well as the New York City Opera National Company, the New World Symphony, the International Touring Company of West Side Story, and Spoleto U.S.A..